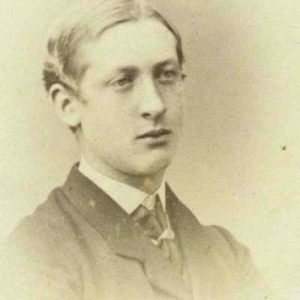 Richard Wogan Talbot 5th Baron of Malahide. The field that Beechwood was built on was a wooded copse which was cleared by the community and was firstly used for fetes and by Auchinleck Silver Band. The Baron set an annual rate of £5 which was never collected and from this generosity the new club took the Baron’s name Talbot. when first used it was nothing more than a field with a hawthorn boundary fence and a rope around the playing area, and of course a small pavilion. 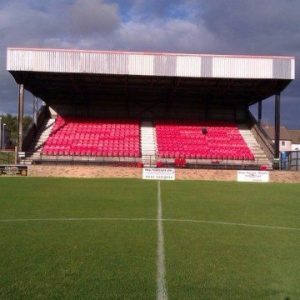 It was however one of the better grounds and was used by the numerous district FA’s for cup finals and District X1 games so much so that Glasgow Rangers played a charity match against Glenbuck due to the state of Glenbuck’s own pitch. In 1922 then then Talbot committee built an elevated terrace on the Main Street side to accommodate the large crowd that was expected to turn up for the visit of St Rochs in the 7th round of the Scottish Cup. A corrugated iron fence was later added to the boundary but little else changed until the end of World War Two when German prisoners of war were used to upgrade the clubhouse and change the grass pitch to an ash surface. 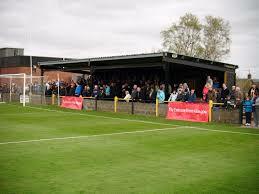 This was a total disaster which forced Talbot to groundshare with Cumnock for a season. In 1950 Talbot who were Scottish Cup holders decided to move thousands of tons of pit slag to Beechwood to beef up the terrace so to accommodate the visit of Irvine Meadow in the Scottish Cup. 10,000 people turned out for this match which is a record that will never be equaled at the ground. It was reported that 100 men and 12 trucks transported 1,200 tons of slag to Beechwood. 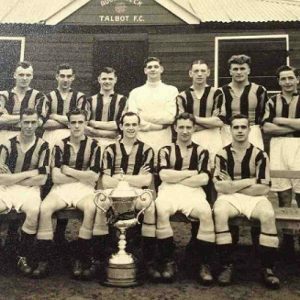 By the 50’s Talbot were boasting a Building Committee to carry out work at the ground and by 1956 they had leveled the pitch at the Coal Road End, but that same season a fire in the clubhouse caused £200 of damage and that money was diverted from their hopes of building a covered enclosure. The enclosure plan was first hatched at the beginning of the 50’s due to Cumnock opening a seated grandstand but it took until 1959 until the project was completed. 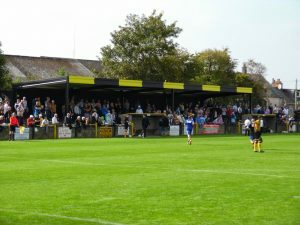 That same season training floodlights were installed. and the floorboards had been ripped up. To add to the woes of the club the 80×18 foot wooden shed purchased by the Building Committee was blown down in a storm. This was re-erected in 1960 where it was used as a pie hut and refreshment room. 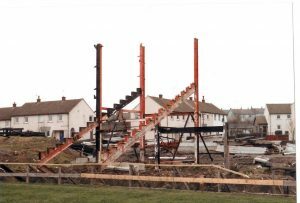 In 1972 the Talbot had demolished the old wooden shed and were using the wood to repair the clubhouse, however this was the year that the vandals put the boot in by burning down the clubhouse leaving Talbot homeless. The club used the dressing rooms at the Merlin Park and bused the teams down to Beechwood and used a supporters garage for the half time break. The committee finally finished the new brick club house by 1973 which incidentally burned down in 1986 due to a tea urn not being turned off. In 1979 the Talbot Social Club was built but had went bankrupt four years later and the structure stood empty until Talbot purchased it in the early 90’s. The club converted the building into new pavilion and boardroom and within a few years opened up the social club but as a much smaller venue. 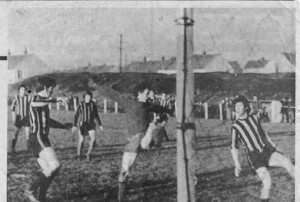 During the late eighties and early nineties various local authority schemes improved the park with teams of men providing labour to replace the wooden sleeper terrace with timber and ash terrace and renewed both the pitch and ground perimeter fence. 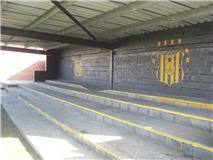 Eventually a similar scheme provided the labour to upgrade the terrace using concrete blocks and slabs creating a very sturdy and useful viewing area all round the ground. 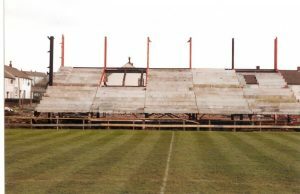 The only enclosure in the ground on the Main Street side had seen better days and the club decided to demolish it for safety reasons. A sub committee already started in late 1989 called simply The Building Committee embarked on providing cover in the now coverless Beachwood Park. Various fundraising activity took place and after much deliberation a new enclosure was fabricated and erected behind the goal at the Coal Road side of the ground. 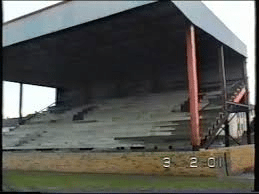 Around 1993 The Building Committee observed that Douglas Park Hamilton was to be demolished, the Hamilton side had recently built an extension to their Main Stand most of which was financed by The Football Trust. The Committee hatched an ambitious plan to approach the Football Trust with a proposal to save the extension and re-erect it at Beechwood Park, they then approached Hamilton who agreed and the organisation to remove and install the structure at Beechwood began, simple! Except it was anything but and after ten long years of fundraising, funding applications, building regulations changing from month to month, companies going bust, a fire burning all the seats stored at the ground, a brush with the Lanarkshire Mafia, legal theats, threats from Football Trust, stealing, begging, borrowing and above all working fingers to the bone, the 500 seat stand opened in 2003. 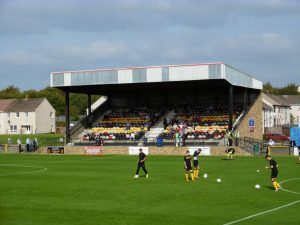 The Grandstand was refurbished in 2014 when nearly knew seats were purchased from Bristol City FC, transported and installed. Netting will be in place this, year 2017, to cut down on bird fouling. A new enclosure was installed in 2013 to replace the old Main Street cover demolished in the late 90s. The recent change to the ground was a new catering facility and programme shop which was erected in 2017. The groundwork was done by a local company, but the actual building was all volunteer work from the Talbot support. At the moment the BRC and Talbot are in talks on various schemes and ideas which will no doubt enhance the ground in future years.